This Holy Scripture was actually fulfilled on the earth on April 4th years back! Note that the Holy Prophecy was written in the 4th (fourth) chapter of the Biblical Book of Malachi (a.k.a “MalakYAH”, in the Hebrew language, which means “Angel of YAH” / “Messenger of YAH”). Why the 4th chapter? Why number 4? 6 is the Number of man! This reveals how crucial the end time “ELIYAHU” is. This year 2018, “ELIYAHU HA NAVI’S (a.k.a Prophet Elisheva Eliyahu)” Birthday happened to be on the 4th Day of the week and 4th Day of the 4th Month of the Gregorian Calendar Year. We see “444”. The Spiritual Significance of the Number 4 is in relation to the demarcation of time as per Genesis 1:14-19. It was on the 4th Day that the Great Lights in the sky were created (a.k.a Sun, Moon and Stars)! It is the day on which signs, seasons, festival days were created! 14 Then Elohim said, “Let there be lights in the sky to separate the day from the night. They will be signs and will mark religious festivals, days, and years. 15 They will be lights in the sky to shine on the earth.” And so it was. 16 Elohim made the two bright lights: the larger light to rule the day and the smaller light to rule the night. He also made the stars. 17 Elohim put them in the sky to give light to the earth, 18 to dominate the day and the night, and to separate the light from the darkness. Elohim saw that it was good. 19 There was evening, then morning—a fourth day. This year we see the Number “4,” three times in relation to “Eliyahu’s Birthday! Hmmmm….Interesting! Eliyahu hanavi’s Birthday is also the very same day on which “YAH’S Amightywind last chance end time Ministry” was birthed through her. The Birth of YAH’S Amightywind Ministry was the Birth of a NEW Season on YAH’S Calendar, that is that the End Times/Last Days actually began! I believe that Wednesday 4th April 2018 (a.k.a “444”) marked the beginning of another New Season on YAH’S Calendar as determined through HIS Eliyahu/Elijah of New! 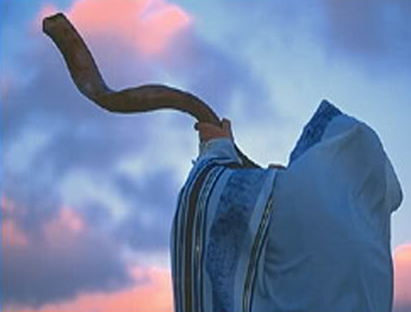 The earth has 4 corners to which we WAVE the LULAV and ETROG during the Feast of Sukkot/Tabernacles (when YAHUSHUA HA MASHIACH’S 1st Coming onto the earth took place). Another Wave Offering is also made using BARLEY Sheaves on the Feast of FirstFruits/Bikkurim. 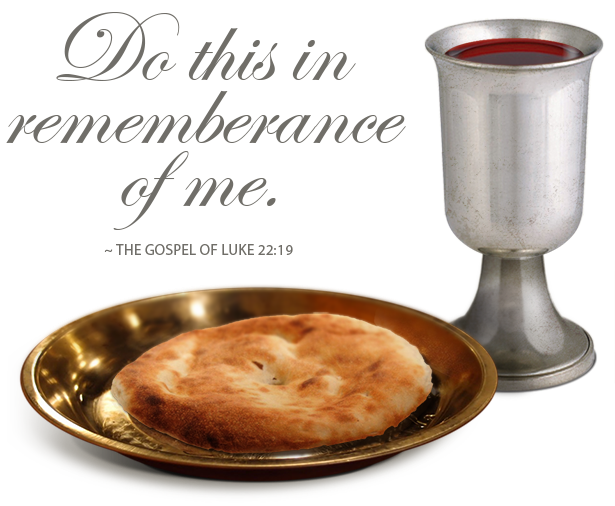 Additionally, it was revealed through one of the Amightywind Ministry teachings on the Four Cups of Wine/Grape Juice that John the Baptist/Immerser (the “ELIYAHU” who preceded Prophet Elisheva Eliyahu) was also born during the time of the Feast of Pesach/Passover. 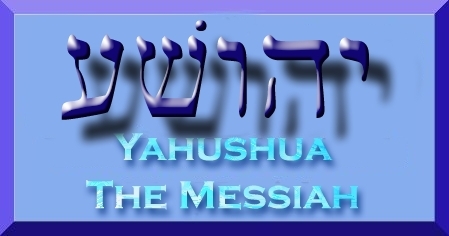 YAHUSHUA HA MASHIACH whom Yahuchanan/John was to announce or usher in was born some months after that (during the Feast of Sukkot). Based on Amightywind Ministry Prophecy 21, YAH’S Holy Angel called Gabriel has already blown the horn that will usher YAHUSHUA HA MASHIACH’S Second Coming. The soundwaves are still in the spiritual realm but will manifest in the physical realm one day in the near future. 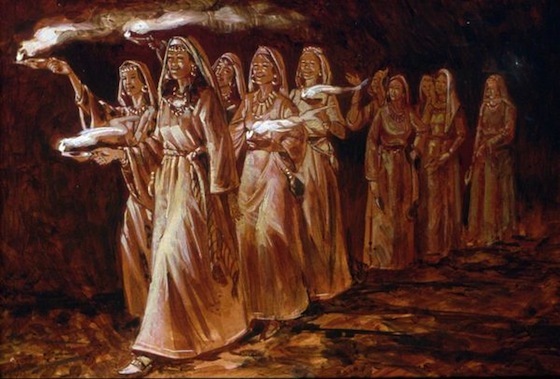 Some Bride of YAHUSHUA have heard them and many haven’t yet because Satan started a battle which is blocking them out. 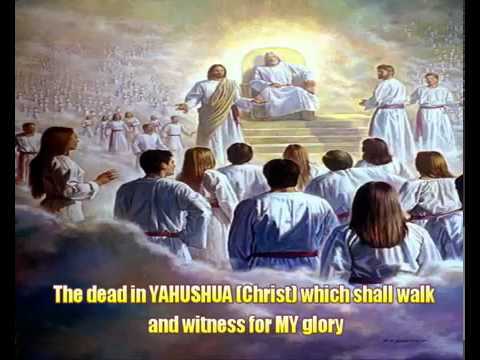 Nevertheless, all YAHUSHUA’S Bride will hear the soundwaves of Angel Gabriel’s shot at horn in the near future after which ELIYAHU HANAVI will usher in YAHUSHUA’S Second Coming just like it is written in the Holy Scriptures, for example Malachi 4:5-6; Matthew 25:1-14 and Matthew 22:1-14, etc. Angel Gabriel may be the seventh Angel who is being referred to in verese 6-7 above. The “mystery” is most likely that which is mentioned in verses 3-4. And indeed it has been revealed! Prophet Elisheva’s Calling as “YAH’S Prophet Elijah of New” started with those Seven Thunders mentioned in Revelation 10:3-4. Additionally, it is through her the mystery of Daniel 12:9-10 has finally been revealed! 12 The person who looked like a human continued, “At that time Michael, the great commander, will stand up on behalf of the descendants of your people. 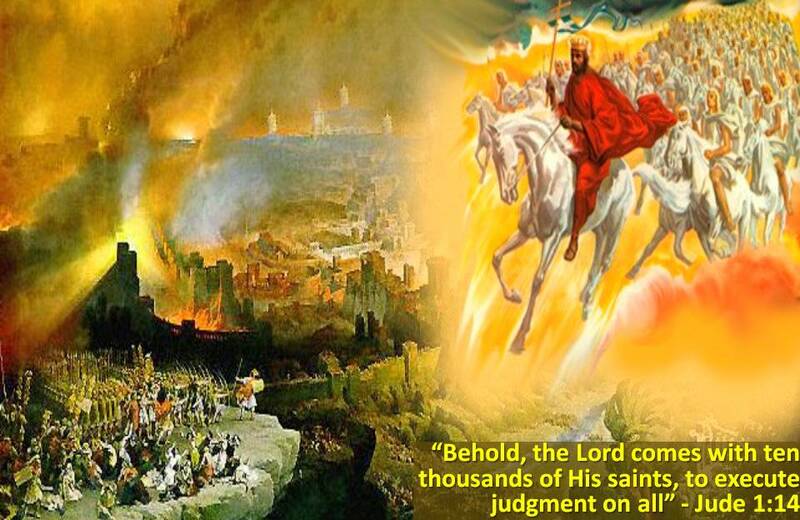 It will be a time of trouble unlike any that has existed from the time there have been nations until that time. But at that time your people, everyone written in the book, will be rescued. 2 Many sleeping in the ground will wake up. Some will wake up to live forever, but others will wake up to be ashamed and disgraced forever. 3 Those who are wise will shine like the brightness on the horizon. Those who lead many people to righteousness will shine like the stars forever and ever. We ought to pray for and support YAH’S and our Eliyahu Ha Navi in her end time role! It is not an easy one. Praise YAH Almighty for she is blessed with a wonderful husband: Prophet Ezra who is right by her side to encourage her more closely… Associate Ministers Kathrynyah and Adam as well as many others are also great value and importance. May YAH Almighty continually anoint, bless, strengthen and protect HIS Amightywind Ministry and the ministers plus followers/partners greatly in YAHUSHUA’S name, AMEN! The number 4 derives its meaning from creation. On the fourth day of what is called ‘creation week’ God completed the material universe. On this day he brought into existence our sun, the moon, and all the stars (Genesis 1:14 – 19). Their purpose was not only to give off light, but also to divide the day from the night on earth, thus becoming a basic demarcation of time. They were also made to be a type of signal that would mark off the days, years and seasons. Interestingly, the Hebrew word for ‘seasons’ in Genesis 1:14 is moed (Strong’s Concordance #H4150), which literally translated is “appointed times” (divine appointments) in reference to God’s festivals. This is the earliest known allusion to what would later be called the Holy (or Feast) days (periods) of worship, which are seven in number. 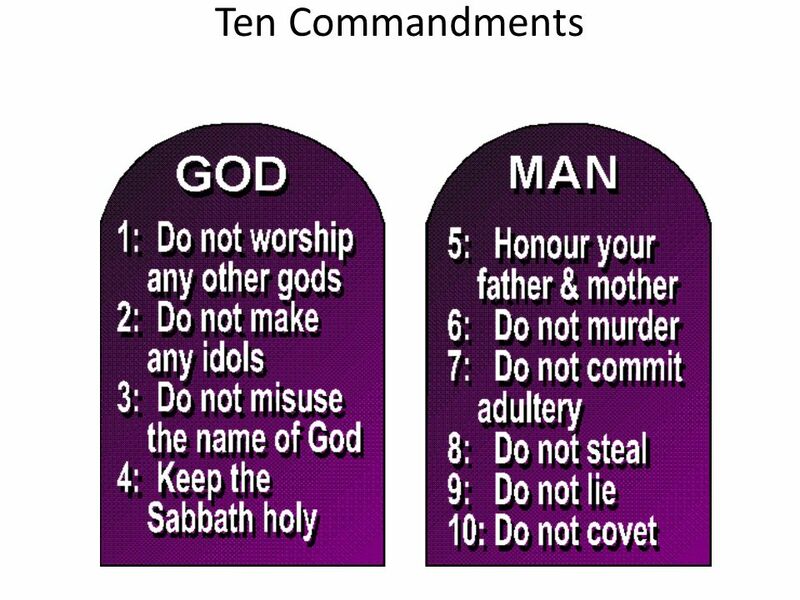 The 4th of the Ten Commandments is to remember and keep God’s holy Sabbath day (Exodus 20:9 – 11). The Sabbath day is tied directly to the creation week. God himself made the period between Friday sunset and Saturday sunset extra special when he rested on it after bringing everything into existence the previous six days (Genesis 2:1 – 3, Exodus 20:11). One of the top ten most frequently mentioned women in the Bible, Eve, is only referenced four times (Genesis 3:20, 4:1, 2Corinthians 11:3 and 1Timothy 2:13). Psalm 107 is the only section or chapter in God’s word that contains the exact same phrase four times (Psalm 107:8, 15, 21 and 31). The apostle Paul was a man familiar with 4 major first century cultures. He was a Roman citizen, he was a Jew who spoke Greek as well as Hebrew, and he was a Christian. The Garden of Eden had a river which parted into the headwaters of four other rivers. These rivers were the Pison, Gihon, Hiddekel and the Euphrates (Genesis 2:10 – 14). After Jesus was nailed and hung on a cross, Roman soldiers divided up his clothes into four parts (one for each soldier – John 19:23). The four witnesses of God on earth are miracles, wonders, signs and the gifts of the Holy Spirit (Hebrews 2:4). The number of times rainbows are referenced in scripture are four (Genesis 9, Ezekiel 1:28, Revelation 4:3, 10:1). In Ezekiel’s well-known ‘wheel in the middle of a wheel’ vision (Ezekiel 1, 10) he sees four living creatures transporting a throne with four sides and four wheels. Each of the living creatures (likely Cherubim, a class of angels) has four faces (the face of a man, lion, ox and eagle) and four wings (1:6). Later in the book that bears his name, Ezekiel is told to proclaim to Israel that an end is coming upon ‘the four corners of the land’ (Ezekiel 7:2). In chapter 14 the prophet is told by the Eternal to ask Israel’s unrepentant elders to repent or else four sore judgments will come upon Jerusalem. They are the sword, famine, wild beasts or animals, and pestilence (14:21). There are 4 gospel accounts of Jesus’ life and ministry. Each of these emphasizes a unique aspect of his sacrifice and ministry. Matthew’s focus is on Christ being the son of David and a King. Mark highlights the suffering servant aspect of his ministry. John proclaims Jesus is the One and Only begotten Son of God. And Luke showcases him as the Perfect Man. Today is Monday 9th April 2018. I wrote the following message regarding Eliyahu’s Birthday a few days ago, soon after Prophet Eliyahu’s/Elijah’s Birthday in fact. I have just realised now/today that the enemy has his own interpretation of “444” and in fact the elite (illuminati) have posted all kinds of images of “444” all over the internet trying to pass their own message about it! I believe that they did this a long while back! 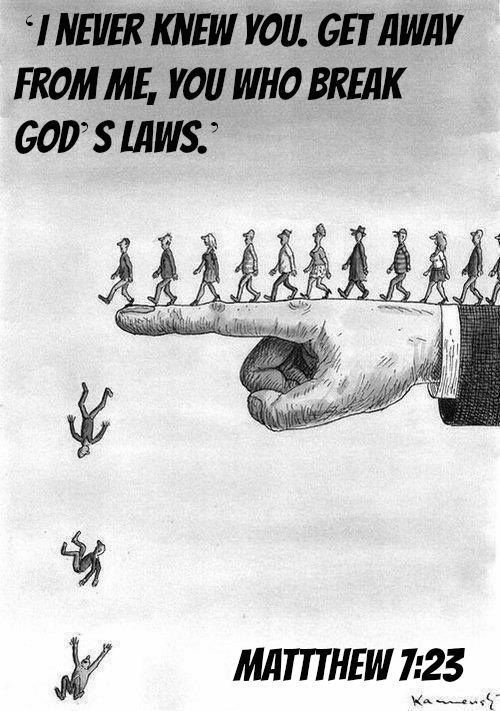 Note that their own message is the opposite of YAHUVEH ELOHIM’S. I don’t want to go into that as I feel it is of no benefit! I don’t want to glorify the devil. Jeremiah 29:11 says that YAHUVEH ELOHIM has plans for you which will bring hope and prosperity, so why worry about what Satan has to say?Additionally, a CD was released by Jay-Z with the name “444”! 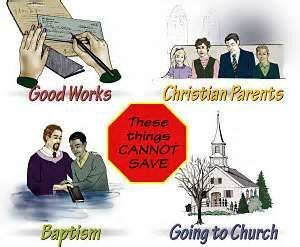 Remember that Satan always counterfeits what YAHUVEH ELOHIM creates!!! The solution is to reject whatever Satan has to say (John 10:10; 1 Peter 5:7-8) and lift high YAHUVEH’S, YAHUSHUA’S and SHKINYINYAH GLORY’S NAME!!! 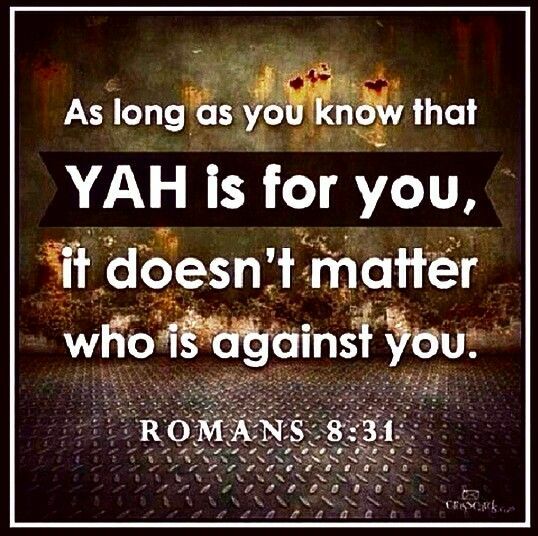 Only continually proclaim what YAHUVEH HAS TO say about you and to you!!! It is interesting to learn that it was around the time 04/04/2018 that the Pope started proposing to change the Holy Bible. Click here for more information.